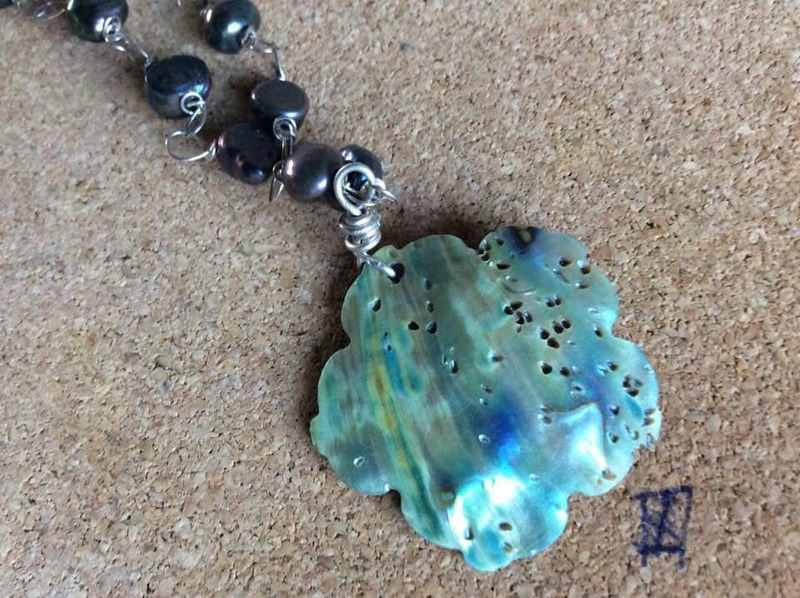 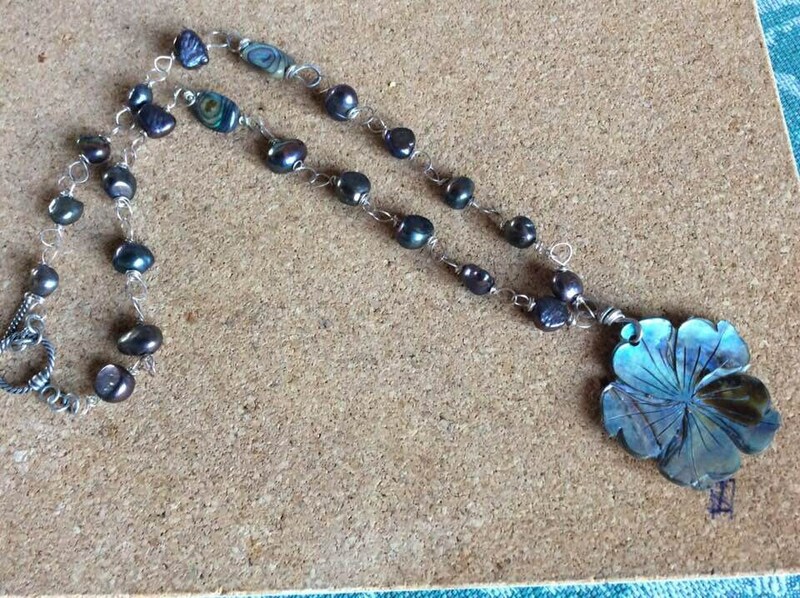 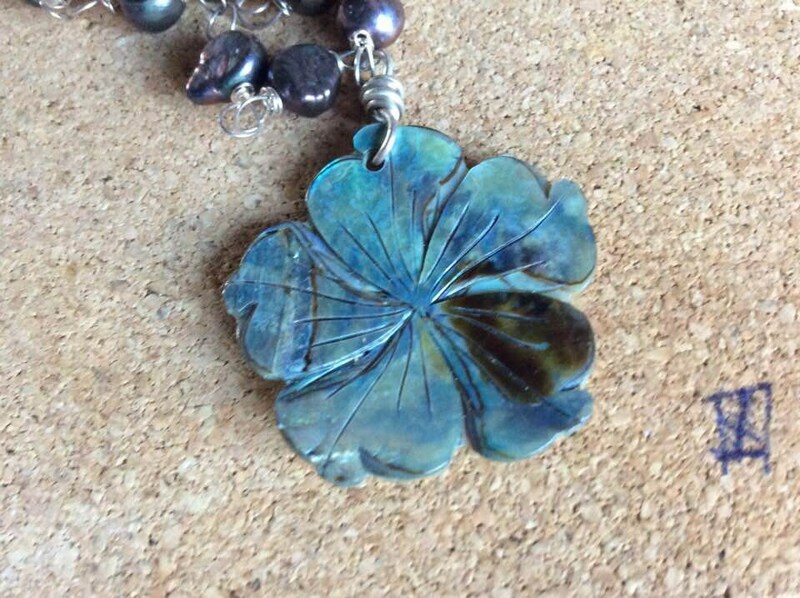 This necklace has a carved flower focal, made of abalone, at the front. 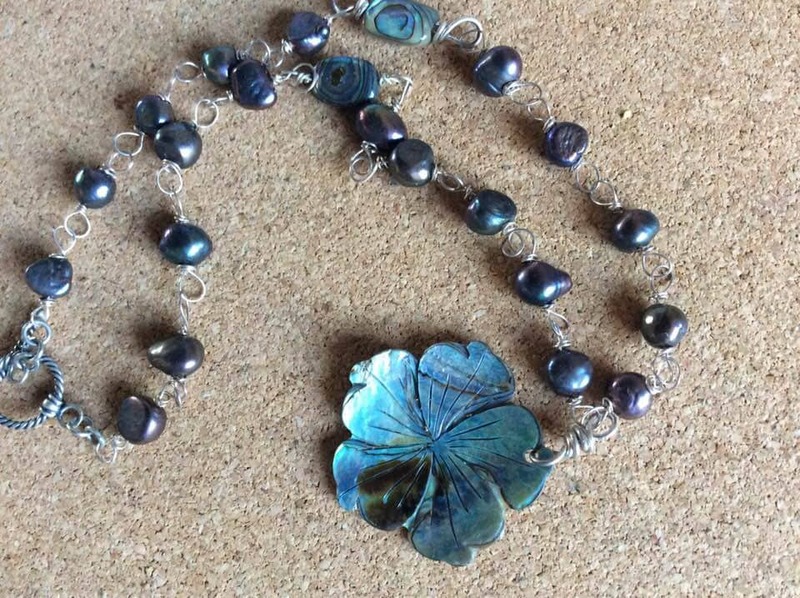 The necklace itself is made with black peacock baroque pearls in loops made of sterling silver 26 gauge wire. 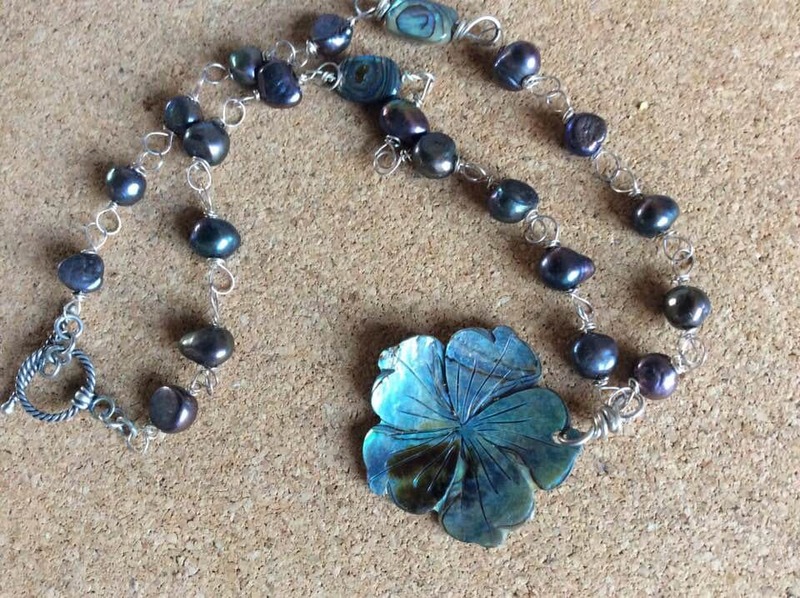 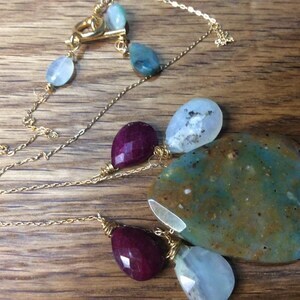 There are 2 abalone beads halfway in among the pearls, to inhance the pearls. 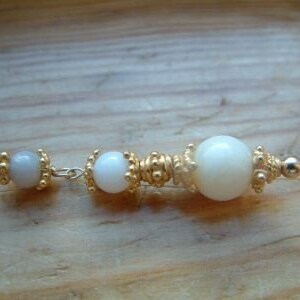 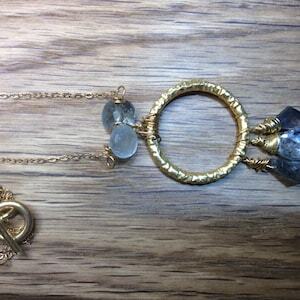 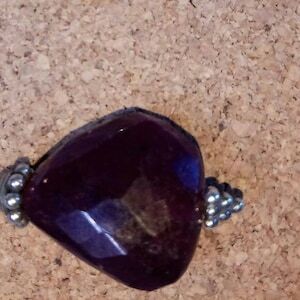 The toggle clasp is sterling 925 silver.